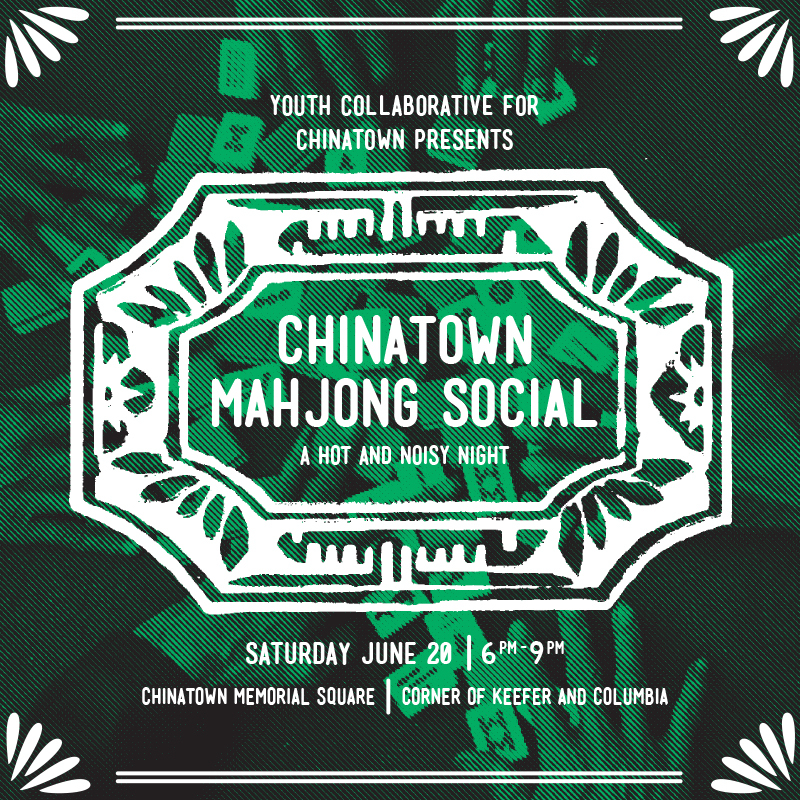 With the Chinatown Night Market not coming back this year, a group called “Youth Collaborative for Chinatown” wants to bring some life back to the streets, and they are starting with a free mahjong social. “Chinatown Mahjong Social: A Hot and Noisy ​熱鬧 Night” aims to bring a bit of tradition back to the area that is rapidly developing and is undergoing huge changes. The phrase ​熱鬧 ​(Cantonese: y​itnaau​; Mandarin: r​enao)​ literally means “hot and noisy” and is a measure of the liveliness of an atmosphere. The group wants to bring back the “hot and noisy” to the streets of Chinatown with a series of events this summer. Mahjong is a game that brings people from all different generations together at the same table, inviting intergenerational dialogue through a friendly, gambling-free game. “As young people, we want to do what we can to contribute to the vitality of this irreplaceable neighbourhood. And for the summer, it’s about social activities that respect its people, past, present and future. We tend to think of Chinatown as a site for retail, for food, for housing, for language, for culture — and it is all of those things — but it is also a site for social activity and community­ building,” says Kathryn Gwun­Yeen Lennon, one of the event organizers. Everyone is welcome to join this free event. There will be more kid-friendly activities too, such as Chinese chess and checkers. When: Saturday, June 20, 6 to 9 p.m.